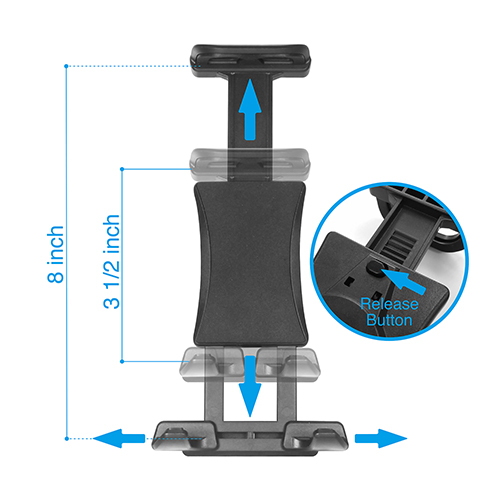 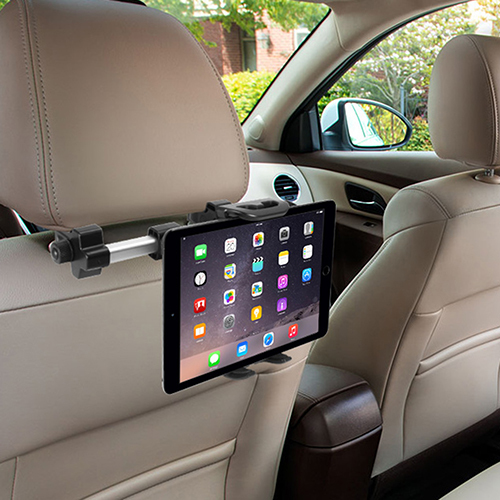 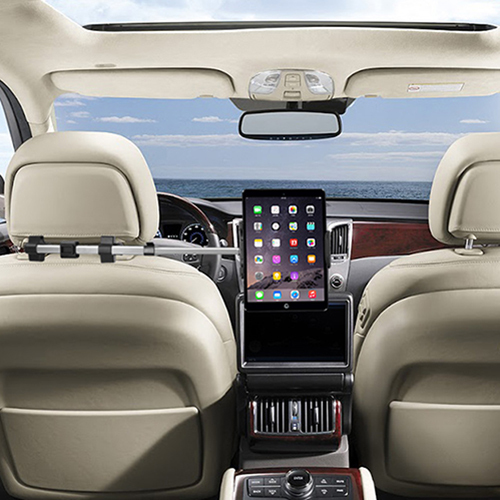 The Macally HRMOUNTPRO car seat headrest mount allows passengers to watch movies on the iPad/tablet conveniently from the back seat of the car. 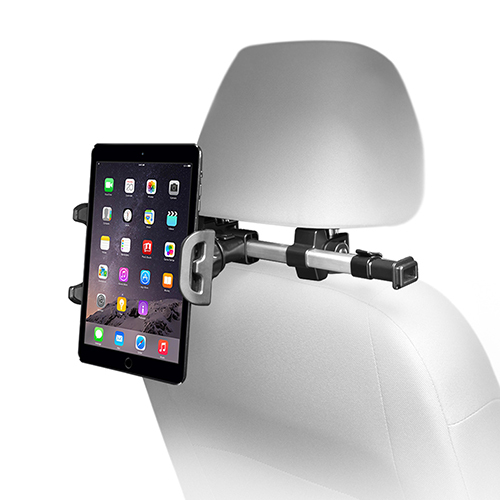 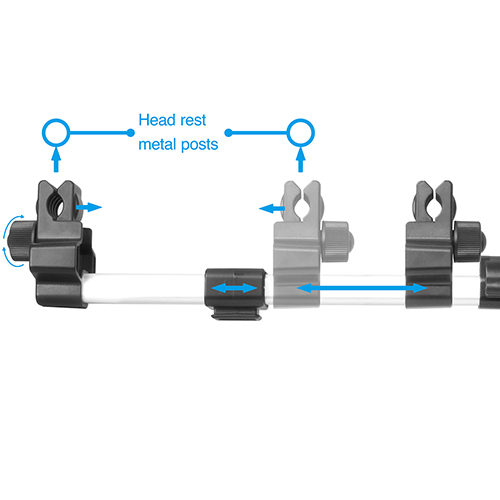 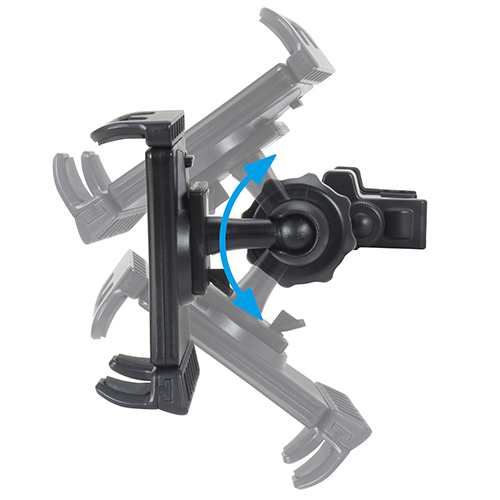 The headrest mount can be easily and securely attached to the car’s front seat headrest posts with a width of 2”/5,1 cm to 7¼”/18,4 cm. 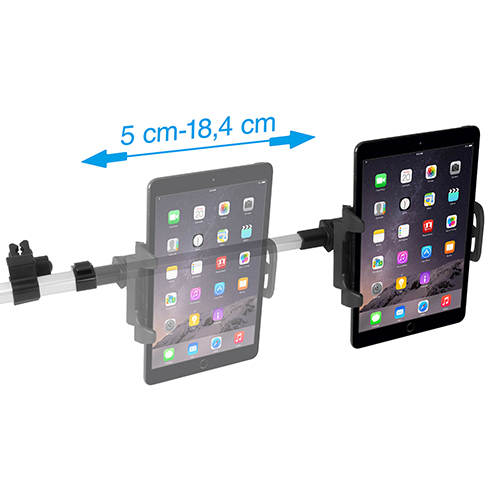 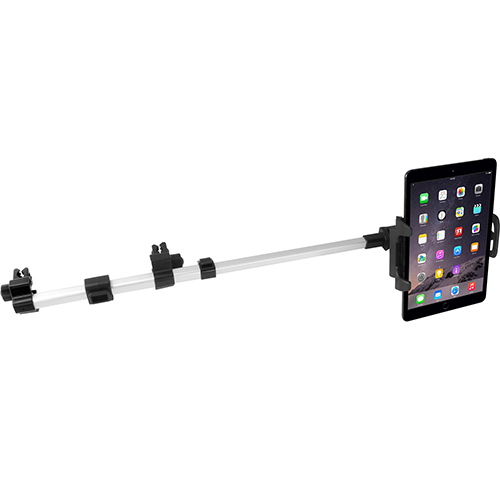 The cradle fits iPad/tablet and any other mobile device with a width of 4.5”/11,5 cm to 10”/25,5 cm. 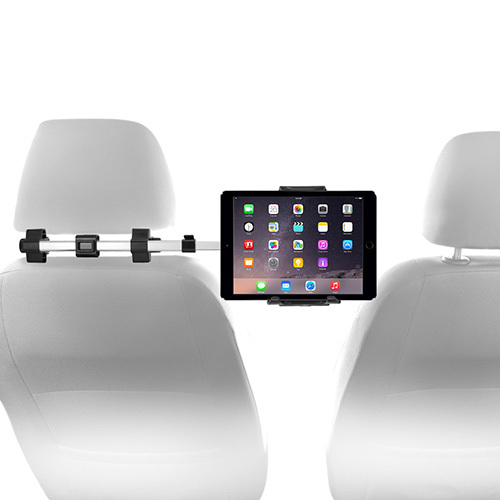 The strong aluminum frame can be extended so that the holder can also be placed in the center, between the two front seats, so that all passengers can enjoy the same movie, at the same time. 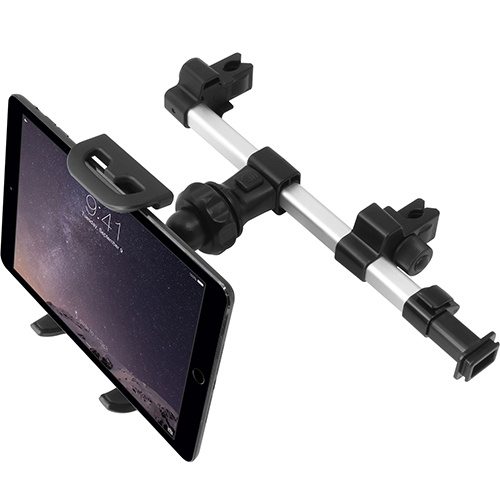 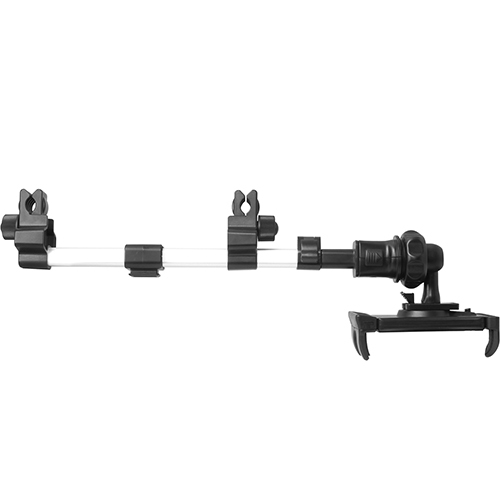 The cradle is fully adjustable and can rotate between portrait and landscape view.